While marking over three decades of publishing books on sustainable living and environmental stewardship and a recent completion of an ESOP buyback, this Vermont-based publisher is now 100% employee-owned and poised to take on the next 35 years. 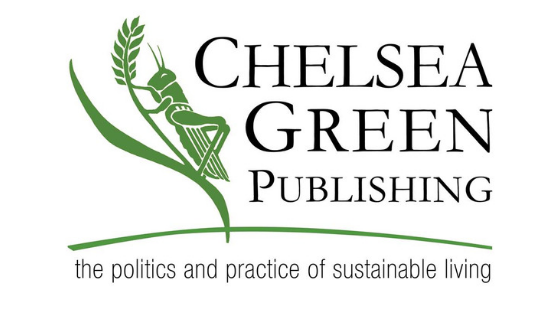 Chelsea Green Publishing, the independent publishing house best-known for its editorial focus on organic food and agriculture, the environment, and progressive politics, has finalized the transition to 100% employee ownership through an employee stock-ownership plan (ESOP). On February 28th, 2019, the ESOP completed the buyback of shares from the original owners and founders, Margo and Ian Baldwin. By doing so, the independence of the company—begun in 1984—has been secured, joining a long list of successful New England employee-owned companies, including King Arthur Flour, Harpoon Brewery, Seventh Generation, and Hypertherm. Having published a broad range of groundbreaking books—George Lakoff’s Don’t Think of an Elephant, Jean Giono’s The Man Who Planted Trees, Eliot Coleman’s The New Organic Grower, and Sandor Katz’s The Art of Fermentation—Chelsea Green is also a founding member of the Green Press Initiative, and is committed to being a sustainable green business by reducing natural resource and energy use to the maximum extent possible, printing on 100% postconsumer recycled paper, and printing in North America rather than Asia. And Chelsea Green’s books truly do share ideas and actions we can all take, or be inspired by, to change and ensure a sustainable future, like the recent PEN America Award winner, Eager: The Surprising Secret Life of Beavers and Why They Matter by Ben Goldfarb; a new book on a carbon-free cyclical economy by eco-pioneers Albert Bates and Kathleen Draper, Burn: Using Fire to Cool the Planet; Matthieu Auzanneau’s revealing work on the history of oil, Oil, Power & War: A Dark History; and a new book coming this fall by the much lauded British environmentalist and author, Rob Hopkins, From What Is to What If: Unleashing the Power of Imagination to Create the Future We Want.